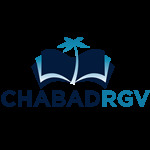 Relive the exodus, discover the eternal meaning of the Haggadah, and enjoy a community Seder complete with hand-baked Shmurah Matzah, wine, and a wonderful dinner spiced with unique traditional customs. Experience the liberation and freedom of Passover. Discover the Seder's relevance today. No one will be turned away due to lack of funds. Kindly Reserve by April 12th.